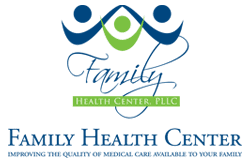 At Family Health Center, we are committed to improving the quality of life for our patients by providing comprehensive care and personalized attention. We will gladly take the time to listen to your health concerns and discuss all options available to you. When you need up-to-date, quality care from a gentle and compassionate concierge doctor and staff, make Family Health Center your number-one choice. We can help you with scheduling, insurance or any other questions. You can schedule an appointment by calling (865) 675-4342or using our convenient online Request an Appointment form. If you cannot keep your appointment, please notify us in advance so we can reschedule you to a more favorable time. We look forward to seeing you. We file most insurance and help you file your claim. We also handle any insurance questions that may arise. Our staff is extremely knowledgeable about health insurance and claims procedures. Please call our office if you have any questions regarding a payment, and we will be happy to assist you. Discover gentle, personalized care from a friendly, down-to-earth doctor and staff at Family Health Center. Patients come to us from Farragut, Knoxville, Lenoir City, Loudon, Oak Ridge and neighboring locations. Give us a call at (865) 675-4342 or use our online Request an Appointment form to schedule your one-on-one time with Dr. Ayo. If you or a loved one needs care for a condition not listed above, ask us about it. No matter the problem, we can help. We serve patients from Farragut, Knoxville, Lenoir City, Loudon, Oak Ridge and close-by communities.